“Ashley is truly a force to be reckoned with!! 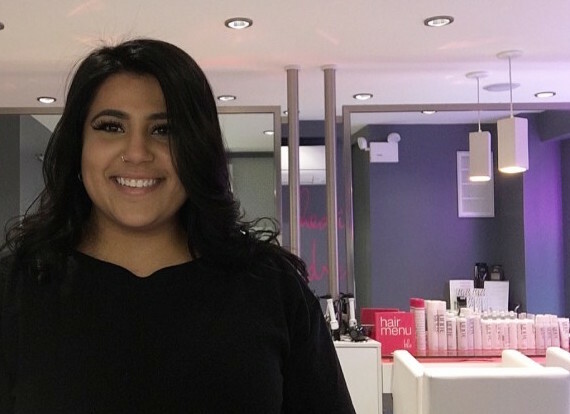 We began our journey at Blo together and she immediately showcased her talents, acquiring the junior style boss position by the end of our very first Blo U! From day one, it was clear to me that she had the drive, dedication and ability to grow and become an important part of the team. Her genuine passion and dedication for what she does everyday makes her unstoppable. She fast tracked; earning the Chief Style Boss position in a short period of time including the recognition from Corporate, as their newest Corporate Style Director! Over the past 4 years, she has become a respected leader and shows me every single day that there is nothing she wouldn’t do to make our business soar. She has been a partner to me and has stood next to me through all of our challenges and successes. She gives me peace of mind knowing that I can rely on her to ensure that all three of our locations are creating “catwalk-quality hair”!! She is the backbone to all that we do and continues to prove herself every single day. Red Carpet! It’s the perfect style to take on any day! My Blo Family and how much room there is for growth! Turning the chair around and seeing the smile on your Guest’s face! If you have beautiful hair, you can conquer anything that comes your way. Never stop learning! The beauty industry is always changing and you need to stay up to date on the latest trends. They come in to see us so we can make them feel good. Make sure their stay is enjoyable and relaxing!! Making people happy. I’ve always wanted to be in an industry that would make a difference in someone’s day-to-day life, and I found it!! “Fake it till ya make it!” Hairdresser’s quote to live by! EXUDE confidence, it shows immediately! My Dad. He’s such a hard worker and always instilled that in me! Aruba! I want to see Flamingo Beach!